Hailed in the New York Times for "impassioned" playing and "clear articulation and unity of purpose," violinist Kate Ransom is a distinguished chamber musician, recitalist and teacher who has presented hundreds of concerts in major chamber music concert halls in North America and Europe. Ms. Ransom is founding violinist of Serafin String Quartet, lauded by Gramophone and Fanfare Magazine for the 2013 Naxos release of early works by Pulitzer Prize-winning composer Jennifer Higdon and by The Strad Magazine and American Record Guide for the 2010 Centaur release. As founding and six-year member of the Alexander String Quartet, she received first prize and audience prize at the London String Quartet Competition and toured internationally. She is a frequent collaborator with other artists and ensembles including David Coucheron, Charles Abramovic, Steven Tenenbom, Sadao Harada, Eliot Fisk, and members of the Cleveland and Philadelphia Orchestras, Eroica Trio, Empire Brass Quintet and Orion, Attacca, and Vega String Quartets. Ms. Ransom�s recital and solo performances include the Bach Concerto for Two Violins; complete Brahms violin sonatas in PA, TX and DE; complete violin Beethoven sonatas in DE, FL, PA and VT; and the Mozart Symphonie Concertante in DE. She has recorded for Gallo, CRI, Centaur, Klavier and Naxos. Presently, Ms. 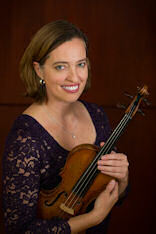 Ransom is an adjunct violin instructor at the University of Delaware and she has previously held visiting artist positions at Brevard College and Lehigh University. She has also held Ensemble in Residence positions at University of Delaware, St. Lawrence University, SUNY-Potsdam, Lehigh University and Brevard College. Ms. Ransom pursued post-graduate chamber music study at The Juilliard School with Robert Mann and holds master's and bachelor's degrees in violin performance from Yale University and University of Michigan, respectively. Her major teachers were Paul Makanovitzky, Szymon Goldberg and Ivan Galamian, and she was a chamber music prot�g� of Tokyo Quartet. Devoted to organizational advancement in the arts, she has held executive positions at music schools since 1990 and is currently president of The Music School of Delaware. Ms. Ransom plays a violin made in 1728 by the Venetian master, Sanctus Serafin. 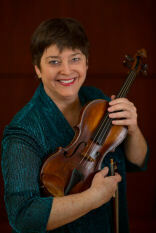 Violinist Lisa Vaupel is an accomplished ensemble player who concertizes in the United States and abroad. She has been a returning collaborative guest artist at the Colorado Music Festival (Boulder, CO), Delaware Symphony's Champagne Chamber Series, Delaware Art Museum Concerts on Kentmere, First and Central's Noontime Series (Wilmington, DE), Sequoia Chamber Workshop (Arcata, CA), Sundays at Three (Columbia, MD), The Bach Concert Series of Baltimore, and the Yogurt Concerts held at Goucher College (Towson, MD). She has also been a returning guest artist on Live Connections' Bridges programs at World Cafe Live in Philadelphia and Wilmington. Ms. Vaupel's recent solo appearances include Samuel Barber's Violin Concerto and Vivaldi's Four Seasons with the Frederick Symphony Orchestra. In addition to her chamber music and solo appearances, Ms. Vaupel has performed internationally as a chamber musician and in many orchestral settings in festivals in Italy, Japan, Singapore and Russia, as well as being a member of the Colorado Music Festival Orchestra for seventeen summers. She serves as a principal player for both OperaDelaware and the Delaware Symphony Orchestra (Wilmington, DE), which presented her with the 2010 Albert Beekhuis Award for excellence in performance and community engagement. Devoted to engaging young musicians and young audiences in creative new formats and philosophies, Ms. Vaupel serves as a Teaching Artist for the School Partnership Program of the Philadelphia Orchestra and the Delaware Symphony's Education program. She has been a faculty member at Goucher College, and currently serves on the University of Delaware faculty. Ms. Vaupel received her bachelor�s degree in music with high distinction from Indiana University, and earned her master�s degree in music at the Peabody Conservatory. She plays a violin made by Carlo Antonio Testore (1741) courtesy of Dr. William Stegeman. Since his solo debut with the legendary Philadelphia Orchestra at age nine, Timothy Schwarz has been praised for his �energetic performances� (Rome News) and �technique beyond reproach� (Buffalo Times). Schwarz regularly performs throughout Europe, Asia, and the Americas as a soloist and chamber musician. His solo career began with his first prize award for the Philadelphia Orchestra Children Competition at the age of eight. As a result of this competition he gave the Philadelphia Orchestra premiere of Kabalevsky's Violin Concerto in C Major. Other awards include Gold Medal in the Artistic Ambassador Competition in Washington, DC, Silver Medal in the Starling Competition, and Best Artist in Maryland from the National Endowment from the Arts. His many CD�s include the 2018 release of Anthems from Prometheus (Albany Records) - �All credit to Timothy Schwarz for providing a performance as gripping from first to last as this one,� (Fanfare Magazine); 2013 release of Early Chamber Works by Jennifer Higdon (Naxos) - �Top 10 Classical Albums in 2013" (Philadelphia City Paper); and 2006 release of Timothy Schwarz, Live! - �Good enough to be the only recording in your collection,� (American Record Guide). An avid educator, Schwarz is currently Assistant Professor and Head of Strings at Rowan University, and Artistic director and founder of Techne Music, which includes a summer chamber music camp and concert series. For a five-year period through 2001, Schwarz served three tours as Artistic Ambassador in South America, Asia, and Africa, performing over 100 recitals in 15 countries. As part of winning the Starling Violin Competition, he studied with Dorothy DeLay at the Cincinnati College Conservatory of Music. He later received a MM from the Peabody Conservatory and a DMA from Temple University. His viola is a 1752 Carlo Antonio Testore, on generous loan from Dr. William Stegeman. Hailed for "style and elegance" and �drama and rhetoric� (Strings Magazine), and �lyrical yet impassioned interpretation� (Fanfare Magazine), Lawrence Stomberg enjoys a wide-ranging career as soloist, chamber musician and pedagogue. Since his debut at Weill Recital Hall at Carnegie Hall in 1999, he has been a featured performer as faculty at the Eastern Music Festival and Texas Music Festival, performs annually at the Techne Music Festival, and was a founding member of the ensembles Trilogy, the Johannes Trio, and Brightmusic. Recipient of the 2018 Delaware Division of the Arts Established Artist Fellowship, Stomberg is an active and dedicated pedagogue, serving on the faculty at the University of Delaware since 2004, where he is currently Professor of Cello. 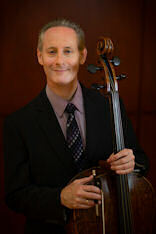 Recent seasons have brought him to venues across four continents, performing as soloist and collaborator in London, Vienna, and Bogot�, as well as cities and towns across the United States, including recent premiere performances of British composer David Osbon�s Cello Sonata, a cycle of Beethoven�s Cello/Piano works across Europe and the United States, and an early performance of a co-commissioned concerto by British-American composer Richard Prior. This past season, he presented the complete Suites for Unaccompanied Cello by J.S. Bach, with commissioned companion works by Swift Rose, as part of a project combining music and civic conversation in Wilmington, Delaware. His debut recording, The American Cello, was released in 2000, and he was a featured performer in two critically acclaimed CDs released in 2013, with music by American composers Jennifer Higdon (Naxos Records) and Kirk O�Riordan (Ravello Records). 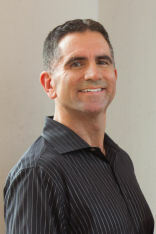 He has also recorded for the VAI and Centaur labels. Mr. Stomberg plays a School of Testore cello, circa 1727, obtained with the generous assistance of Dr. William Stegeman.